With the Nigerian government still trying to pacify resident doctors at public hospitals to return to work, another group of professionals in the sector has joined the fray. The Joint Health Sector Unions and Assembly of Health Care Professionals, JOHESU, says it will begin a nationwide strike on September 20. The group said the planned action was due to government’s failure to meet its demands. The group had earlier threatened to embark on an indefinite industrial action that would shut down operations in public hospitals due to the delay by the federal government to meet the demands it made in 2014. The union’s demands include payment of arrears of specialist allowances and upgrade of their members due for promotion. JOHESU tagged the planned action ‘Operation Alligator Bite’, saying it would be more severe than ‘Operation Python Dance’ that the Nigerian army launched in the south-east. The threat is coming barely eight days after resident doctors embarked on a nationwide strike. 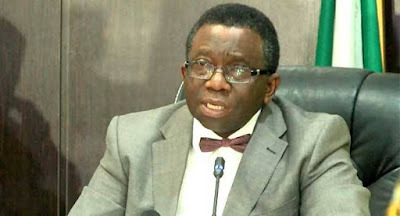 Despite intense negotiations with the federal government, resident doctors are yet to resume work as the last meeting held in Abuja on Tuesday ended without producing a resolution. JOHESU makes up about 95 per cent of health workers and health care providers in the country. The group embarking on strike means that all government hospitals will be closed down. In a letter written to the Senate President, Bukola Saraki, and the Speaker of the House of Representatives, Yakubu Dogara, the group threatened that if the federal government refused to address its agitations earnestly, it would have no option but to shut down health care facilities nationwide.